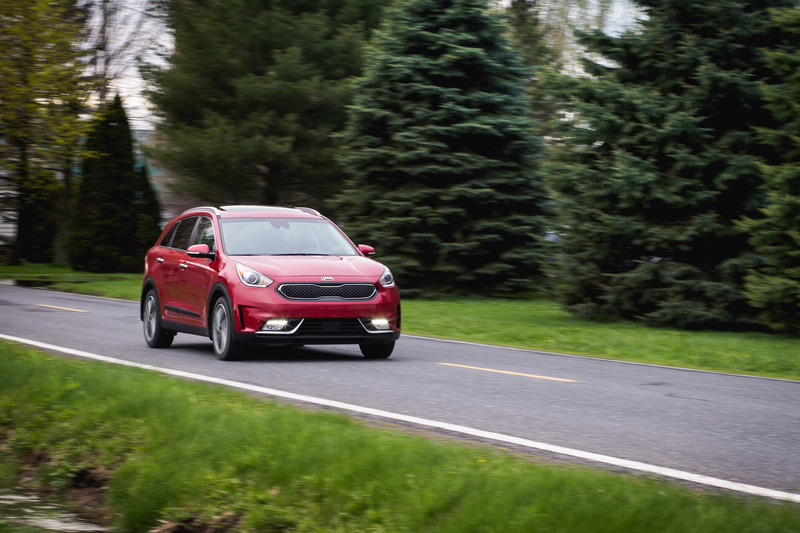 2017 Kia Niro: What's A Crossover Supposed To Be? 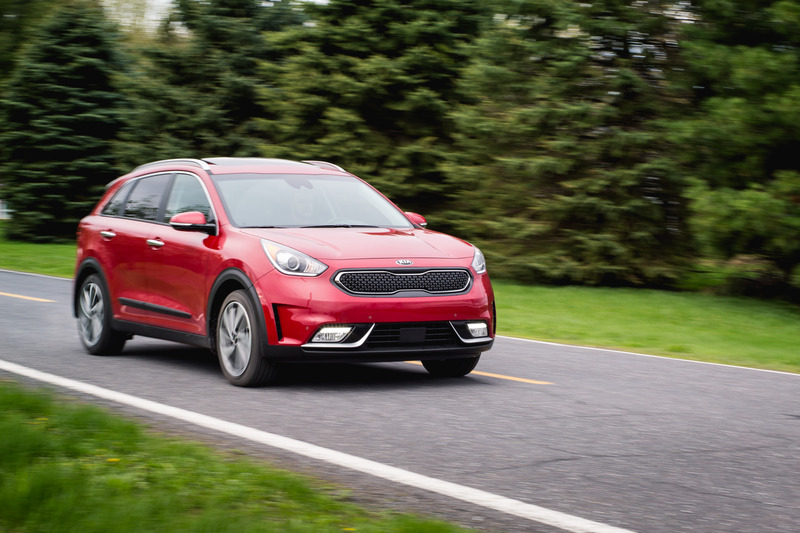 2017 Kia Niro: What’s A Crossover Supposed To Be? As you all know, I’m not a big fan of crossovers. I’ve expressed my hatred for them several times. So when Kia unveiled this all-new Niro at the 2017 Montreal Auto Show, I remember nudging one of my colleagues from the Car Guide, and whispering into his ear: “Here we go with another snooze-mobile.” And then, the people at Kia pulled the drape off. The Niro is probably one of the first crossovers I gaze at thinking: “Well, that’s not entirely all bad, now is it?” That’s because it’s not. More importantly, the immediate thought that came to my mind when spotting this cute little box on wheels as it flaunted its new face to the flashes of the automotive press, was that the term “crossover” has become so ambiguous, that it’s now exceedingly difficult to define what the darn things are even supposed to be anymore. 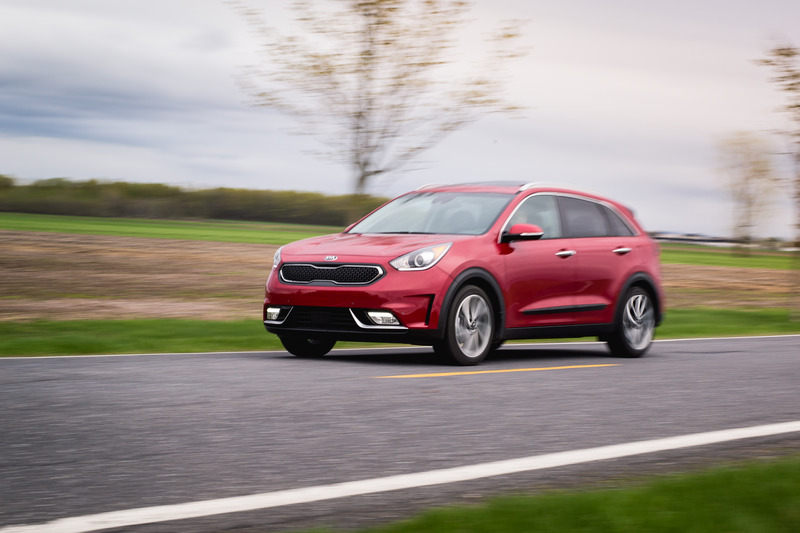 In a quest to become more and more car-like, crossovers are interestingly returning to being the cars they’re initially based on, which means the 2017 Kia Niro is a crossover only in the most superficial interpretation of the word. Let’s face it, this is a little wagon. And that’s precisely why it suddenly becomes a much more desirable product. Oh, yeah, there’s one other minor detail that I forgot to mention about the Niro: it’s a hybrid, all models. Mind you, this isn’t the first time we see a hybrid crossover, but what makes the Niro stand out from the crowd, is the way the product is executed. If there’s one thing Kia knows how to do well, it’s to pinpoint a target clientele and sell it precisely what it’s looking for. 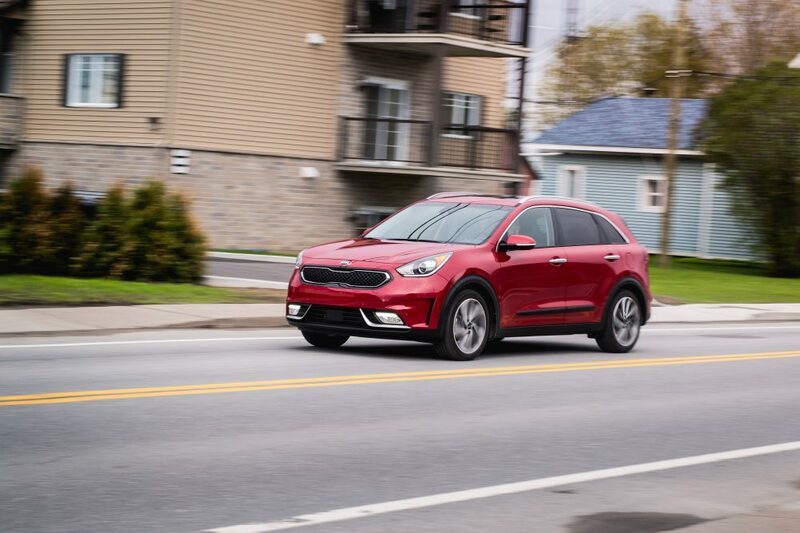 The Soul is a prime example of this, and the Niro follows in its footsteps. So, in the same way Apple didn’t invent the MP3 player with the first iPod, but rather made it cool and fun, the Niro uses the same formula for the compact crossover aimed at the millennial generation. First, the car, and yes, this is a car – don’t let the black plastic ribbon, wheel arches and roof rails fool you – is a good-looking vehicle, with Kia’s now distinctive front grille plastered on a cute, almost baby dinosaur’s face, a nicely raked coupe-like roof, and a clean, tapered, and squared-off rear end adorned with a set of tri-squared LED tail lights, a classic Peter Schreyer design cue. 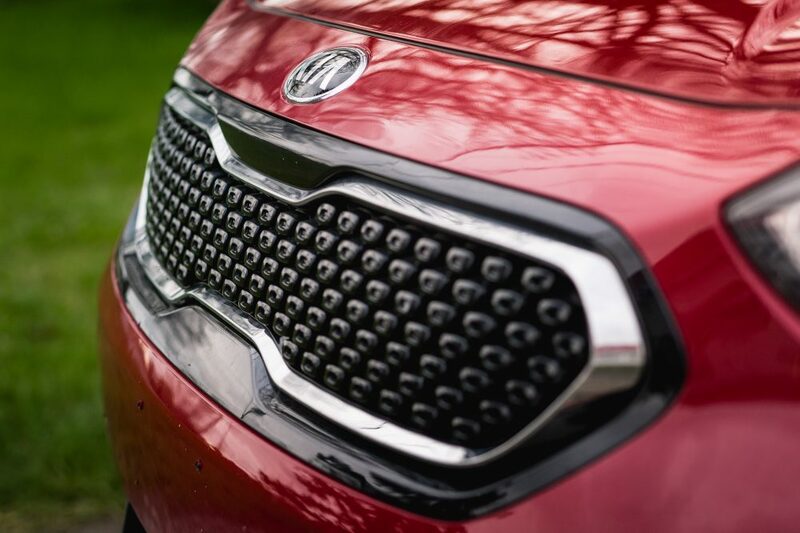 From some angles, the Niro even reminds me of the Stinger sports sedan Kia shocked the entire industry with in Detroit earlier this year. Japanese carmakers in the likes of Honda, Toyota, and especially Nissan, should take notice of Kia’s styling these days. Because they build truly good-looking cars now. 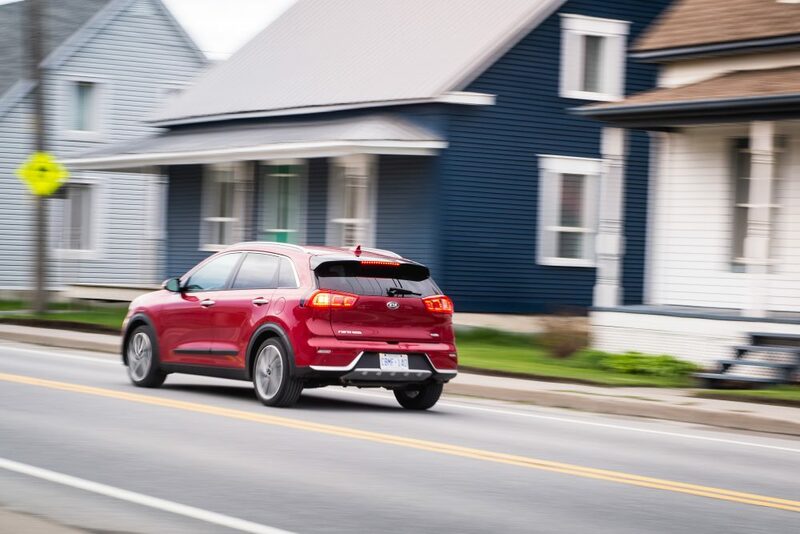 Sitting at ten inches shorter than a Honda CR-V or even a Volkswagen Golf SportWagen, and slotting right between a Rondo and Sportage in the Kia lineup, the Niro is a well-proportioned compact wagon that doesn’t go down the bloated alley in the sake of winning the cargo space war. This is a tidy little package. It also makes do with a rather simplistic hybrid system in comparison to the more complex and innovative plug-in hybrids currently available out there. So no, you can’t connect your little wagon into your home outlet to recharge its batteries. This is more of a self-recharging system like the one you’d get in a standard Toyota Prius (not the plug-in Prius Prime) or the Honda Accord hybrid like the one I reviewed on Jalopnik a few weeks back. The idea is to offer its buyers, presumably young families on a budget, the lowest possible fuel-related running costs while maintaining an environmentally friendly means of transportation. The Niro will run on full electricity alone, but only upon launch and for very short distances. Most of the time, both engines are working together in harmony for maximum fuel economy. An interesting fact about the Niro is that its claimed fuel numbers change depending on the trim level you choose: Kia claims 4.8 L/100 km combined for the base L model. EX and top flight SX trims will pull 5.1 and 5.8 respectively. Kia Canada tells me it has something to do with weight and wheel size, so the base Niro is the most fuel efficient.My tester was the SX Touring. My best, real-world fuel average rating was in the low sixes. 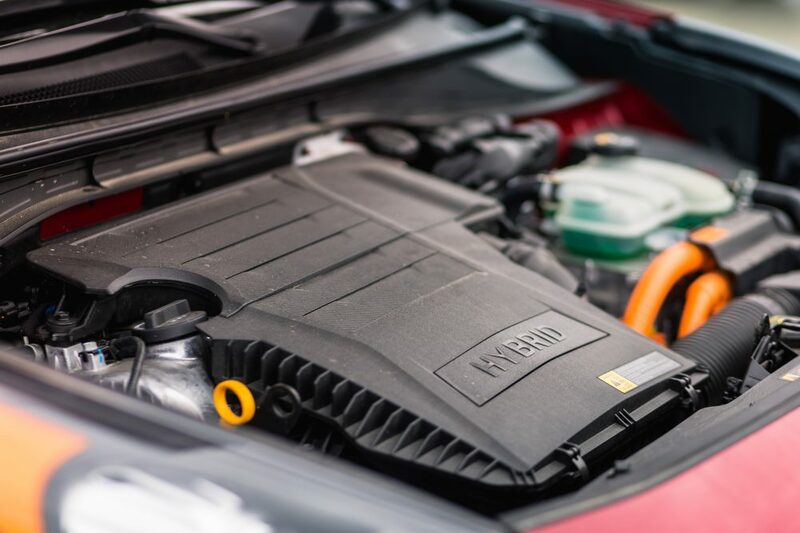 As for power, or lack of it, the Niro’s main engine is a ho-hum 1.6-liter four. Grafted onto its six-speed dual-clutch automatic gearbox, the only available transmission for the car, is a 43-horsepower electric motor. The total package is good for a claimed 139 horsepower and 195 lb-ft of torque. All Niros are front-wheel-drive, there is no all-wheel-drive option. Unfortunately, none of this claimed twist is felt behind the wheel, the Niro feels slow by modern standards. Smash the accelerator pedal, and there isn’t much happening, except for a buzzy, unrefined, and seriously underpowered four cylinder drone accompanied by a vacuum-cleaner-like whirl coming from the electric motor. The transitions are smooth between gas and electric, but there are occasional jerks and hesitations. It’s overal decent, but the drivetrain simply feels crude in comparison to other hybrid systems. Acceleration is anemic at best. And overtaking requires straight out slamming the throttle straight to the floor. Kia claims a 0-100 km/h acceleration time of around 8.6 seconds, so if you’re looking for a wagon that will excite your senses in the acceleration department, I’d say buy a Golf SportWagen instead. What the Niro lacks in power, it makes up for in an impeccably compliant and nimble ride. This is nowhere near as solid as Hyundai’s Superstructure platform found in the Elantra though, but it still performs with a buttoned down, almost Germanic composure. 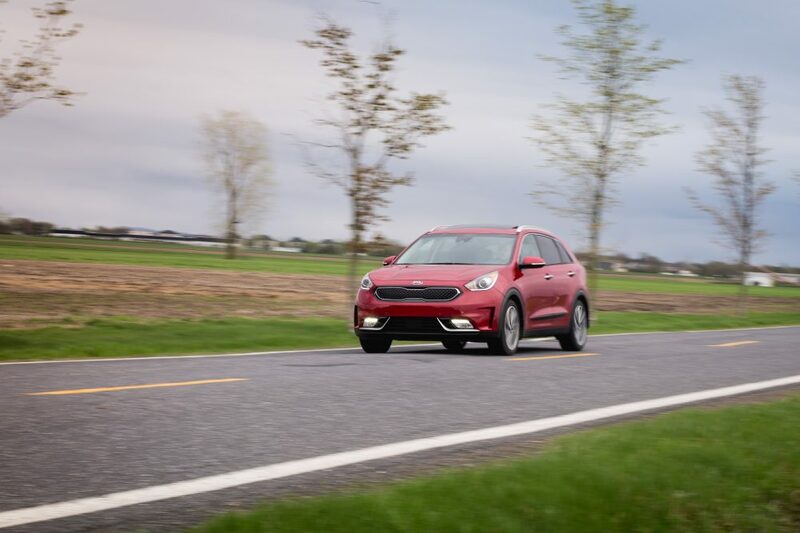 Since the Niro offers the same ride height as a car, you don’t get the traditional body motions and tippy handling characteristics as in a crossover like a CR-V for example. In fact, while my shooter Myle and I were out there shooting this Niro, we also had a Ford Focus ST in our hands. We had a blast driving through country roads to find the perfect shooting spot, and while the under-powered Niro was no match for the almighty Focus’ acceleration, I was pleasantly impressed at how well I could maintain pace in the bends and how effortlessly the darn thing can carry speed; something I could never have done with a traditional crossover. Inside, the Kia Niro is, well pretty cool, to say the least. 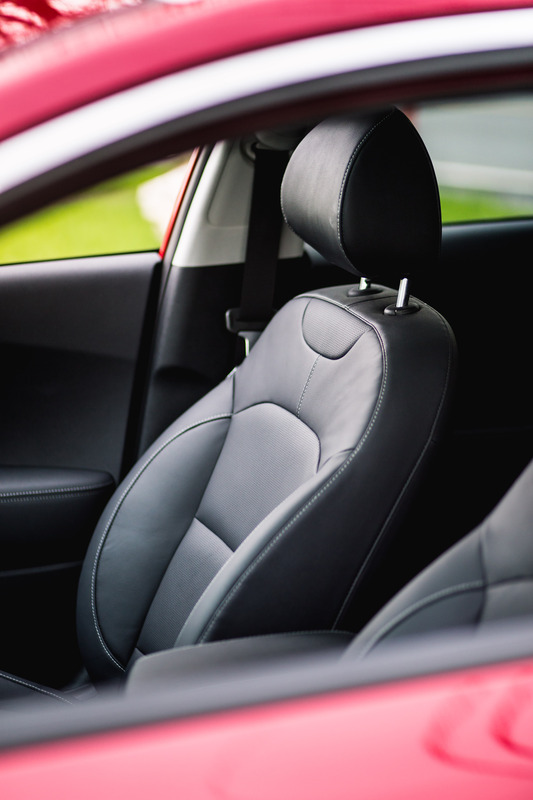 Build quality is decent, and the entire overall design of the cabin is pleasing to the eye. There’s a rather funky gauge cluster that sends the driver a whole bunch of useful information regarding which drivetrain is running as well as when the batteries are being charged. The 8.0-inch (7.0-inch for base models) infotainment touch-screen interface, sampled straight out of the Hyundai-Kia parts bin, is easy to comprehend, quick to respond, and simple in operation. As with Hyundai products, this is one of the best infotainment systems in the industry. 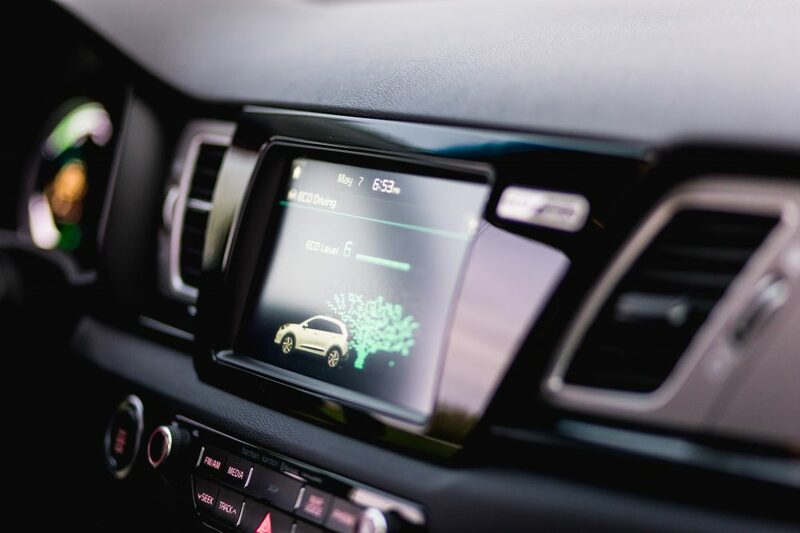 The Niro goes a step further by adding a bundle of fun fuel economy metrics, such as a driver score, complete with a digital tree that grows its leaves depending on how thrifty your driving is. It’s a huge gimmick, really, but it should work at motivating young, cool, and environmentally sensitive owners to drive green. Android Auto and Apple Carplay smartphone compatibility are also standard across the Niro lineup. Cargo and occupant space is abundant in the Niro, but still lower than what most compact crossovers will offer. I was pleased to discover a spacious rear bench, with plenty of leg and head room, especially for massive adults such as me. 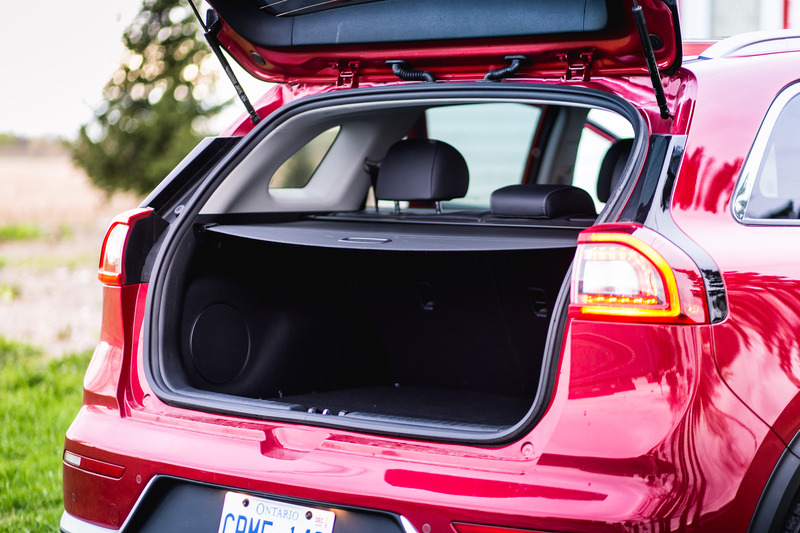 Being slightly smaller than a compact crossover, the Niro’s total cargo space compares more to what you’ll find in a subcompact offering like a Honda HR-V for example. Boasting 1,557 liters of available space with all rear seats folded down (538 with seats up), the Niro is slightly under the HR-V’s capacity, but still better than what you’d get in a conventional Golf or Civic hatchback. 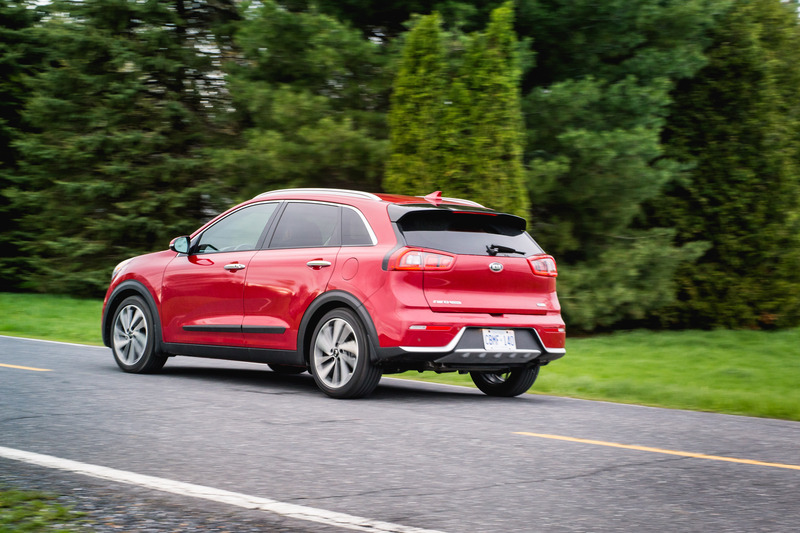 Pricing for a 2017 Kia Niro is where things become interesting, a strongpoint for all Kia cars and trucks. Base L models kick off at $26,850 and come pretty loaded to boot with heated seats, heated steering wheel, a back-up camera, and the latest connectivity features. EX trim adds a sunroof, a push-button start, wireless Bluetooth charging and some LED lighting. It sells for $29,350. The top of the line SX Touring model, like my tester, which comes with leather, a Harmon/Kardon sound system, the larger touch-screen interface, and some semi-autonomous safety technology like cross-traffic monitoring and a collision mitigation system with automatic braking, goes for $34,850. I would recommend sticking with the EX trim level, as it offers a decent value under the 30K mark. 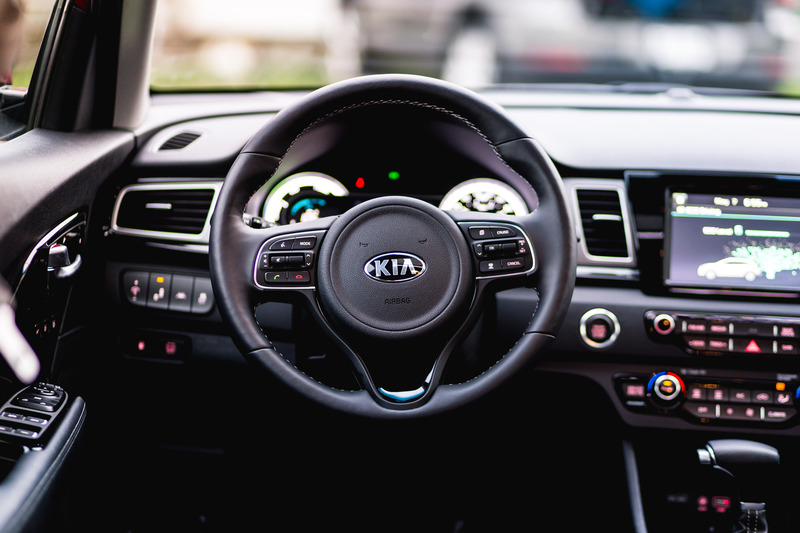 34K is getting a little expensive for a Kia, and knocking at the door of more established car brands that, sadly for Kia still, offer better overall resale value in the long run. At 30K, you can still buy a Honda CR-V with more cargo space, but it’s important to underline that the Niro is the most affordable hybrid crossover, or wagon – call it what you want – currently available for sale. It also offers more cargo space than a Prius, so there’s that. Final verdict: This is a cool little hybrid wagon! And it should be a solid hit with the next generation of young families looking for something in tune with their insatiable need for practicality, low cost of ownership, and all around good looks. 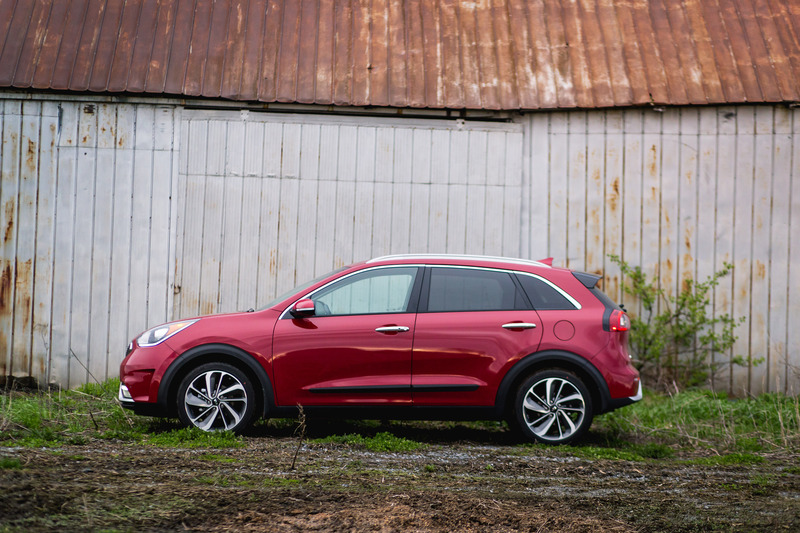 The 2017 Kia Niro hits the spot on all those traits: it’s simple, affordable, and fun in the areas that matter. 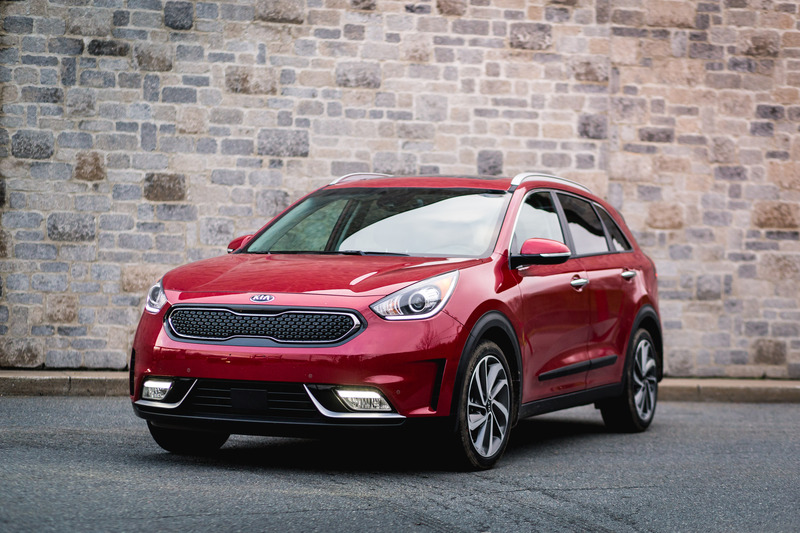 Like the Soul that came before it, the Niro looks up to being another home run for the Koreans. Attractive, fun and functional design. 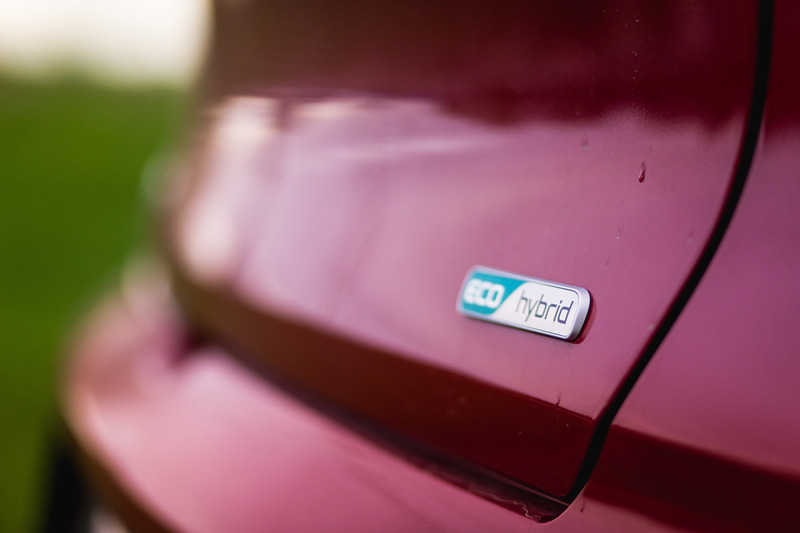 Excellent fuel economy: only hybrid in the segment. More spacious than a Prius.